We frequently have customers ask: Is it safe to use essential oils during chemotherapy and radiation? Before we go further, it’s important for you to know that making specific recommendations regarding essential oil use during chemotherapy and radiation is beyond our scope of practice. The information provided in this post is intended to support you to make informed decisions that best suit you and your circumstances. Always consult with your medical team before incorporating essential oils into your wellness protocol. As a cancer survivor, I have firsthand experience with using essential oils during my cancer treatment. After discussing this with my oncologist, I decided not to use any essential oils three days before and five days after chemotherapy so I didn’t interfere with the purpose of the treatment. I also didn’t want any feelings of nausea that might be a result of the infusion to be associated with an essential oil scent. 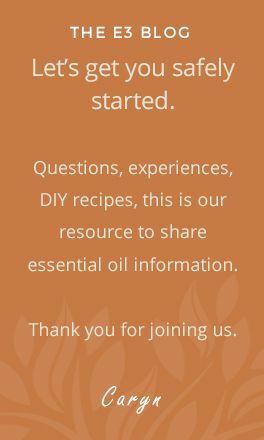 One resource that has been helpful on this topic is the book, Essential Oil Safety, by Robert Tisserand, a well known and respected aromatherapist, author and scientist. 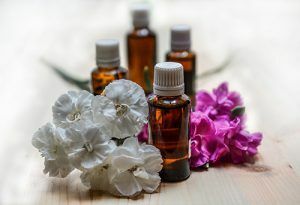 Here are a few excerpts relating to the use of essential oils during chemotherapy and radiation. While I was careful not to interfere with my chemotherapy treatment, I did find using essential oils helped me with my recovery. I used them to fight fatigue and anxiety (baths were great for me), uplift my spirits, and to maintain a healthy environment with germs away. I loved the small spritzers and the personal inhalers I could carry with me into hospitals and doctors offices, even those not near me! It’s good to know that one of the safer application methods that many hospitals use is inhalation. Whether you use an inhaler, diffuser, or a simple cotton ball, smelling your favorite essential oil or blend can give you instant comfort. Read more about e3’s comfort bowl for ideas on bathing when you’re fatigued. For more information on the use of essential oils during radiation please see this article by Sylla Sheppard-Hanger. Please feel free to contact us if you have another specific question about the use of essential oils. 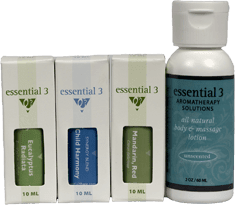 When using essential oils, it is important to take into consideration the individual’s age, health history, current medication, intent of use, current life circumstances such as stress, diet, hydration, sleep etc. Choosing an essential oil, dilution ratio and application method will vary for each person. Would you like to learn more about essential oils – like where they come from, how they’re made and how to make your own special blends? Simply download our free ebook, Listen to Your Nose – An Introduction to Aromatherapy. By Caryn Gehlmann Do you have a hard time resting? You’re not alone! You sit down with a cup of tea to try and relax, but your phone keeps beeping….